Background Information. 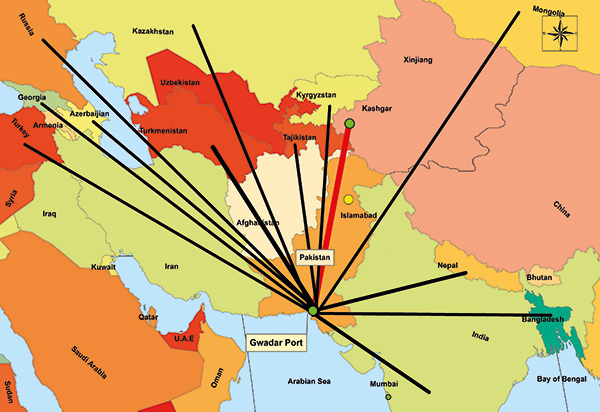 The intelligence agencies of India USA, Israel and the puppet government in Kabul (RAW, CIA, NDS) duly supported by MI-6, Mossad and BND based in Kabul have been targeting Pakistan from Afghanistan as well as Iran from 2003 onward to destabilize, denuclearize, de-Islamize and Balkanize Pakistan. The collaborating agencies have been making use of paid proxies and hybrid war to achieve their objectives. Pakistan security forces after fighting the war on terror for 15 years finally succeeded in chucking out all terrorist groups and restoring peace. Today Pakistan is in a much stronger position to deal with internal and external challenges which have dismayed India and its strategic partners. India is highly perturbed over the fast-changing regional scenario which is going in favour of Pakistan and is against the interest of India. Despite India’s best efforts to scuttle CPEC, it is making good progress. 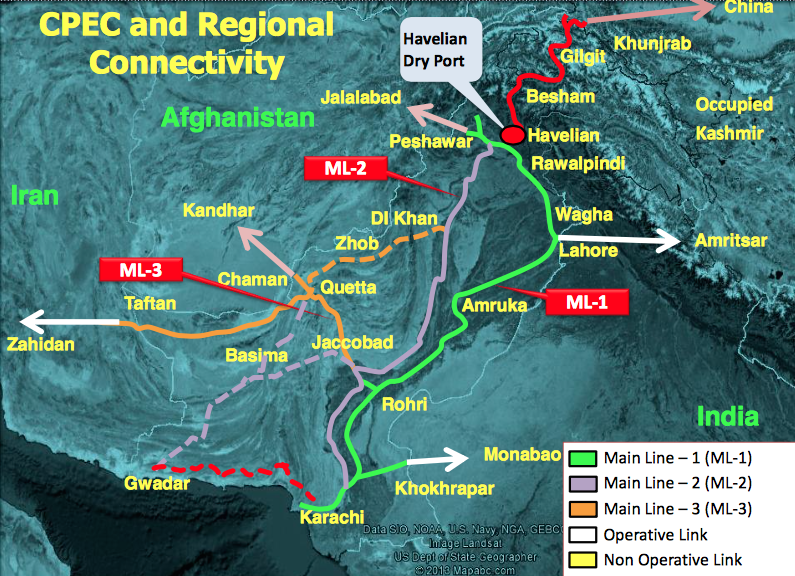 Game-changing CPEC has disrupted India’s plan to isolate Pakistan. The US-Taliban peace talks in which India has no role, while Pakistan is playing a key role has upset India. The US plans to strike a peace deal with the Taliban and arrive at a political settlement. The US-NATO troops intend to exit from Afghanistan, which will pave the way for the Taliban to regain power. That would mean decrease if not the termination of Indian influence and increase of Pakistan’s influence in Afghanistan. The gulf between Pakistan and the Arab Gulf States in the aftermath of the Yemen crisis in 2015 had been quickly filled up by India by getting close to the Kingdom of Saudi Arabia (KSA) and UAE. The void has now been filled and bitterness removed after the change of government in Islamabad and quiet diplomacy of Gen Qamar Javed Bajwa. Much to the disappointment of India, old camaraderie between Pakistan and KSA-UAE has been restored. KSA, UAE and Qatar have extended generous financial support and oil on deferred payment to help the new government led by Imran Khan to tide over its economic crisis. China is continuing to consolidate its strategic relationship with Pakistan and to bolster CPEC. The USA found itself stuck in Afghanistan and wanting to exit safely and honourably is waving an olive oil to Pakistan and extending an offer of a free trade agreement. Amidst the happy tidings for Pakistan, planned high profile visit of Crown Prince M. Bin Salman to Pakistan and then to India and the expected Saudi investment of $20 billion together with setting up of an oil refinery at Gwadar seaport to further boost up CPEC alarmed India. Visit of Afghan Taliban to Islamabad on 17th, hearing of Kalbushan case in ICJ on 18th, crucial meeting of FATF on 18th for which India was lobbying to put Pakistan in the blacklist, and PSL matches taking place in Karachi-Lahore were other important events in that timeframe. Internally, Narendra Modi is facing heavy criticism from the public since he has been unable to fulfil the tall promises he made to the people of India. Instead of uplifting the GDP above 11% as boasted by him, the GDP has dropped below 7% and devaluation of bigger currency notes and taxation have affected the small businessmen and farmers. 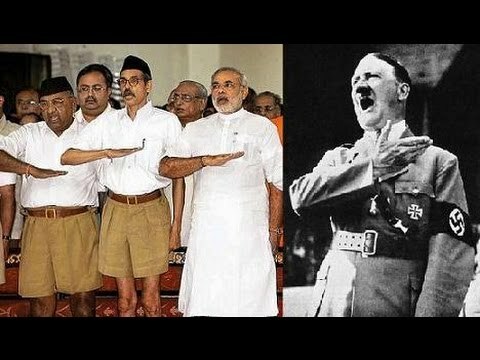 His extremist policies against the minorities in India and craze to promote Hindutva have declined his popularity and minimized his chances to get re-elected. In Indian Occupied Kashmir (IOK), Kashmiris have got alienated and Kashmir is fast slipping out of the hands of India owing to oppressive policies of BJP government. It was in the backdrop of series of upsetting developments for Modi when seen in context with approaching elections in India in May 2019 that it was apprehended that he might resort to some sort of misadventure with a view to infuse fresh life into his election campaign, distract the attention of the world from IOK, find an excuse to further step up ethnic cleansing of Kashmiri Muslims, change the demography of Kashmir Valley, drum up old narrative that Pakistan is abetting terrorism in Kashmir and isolate Pakistan diplomatically. It became all the more crucial because of the planned visit of Crown Prince on 16-17 February. On 14 February, a suicide bomber rammed his car filled with explosive into the military convoy in Pulwama (part of Jammu in IOK) killing 40 Indian CRPF soldiers. Within minutes of the occurrence, India blamed Jaish-e-Muhammad (JeM) and Pakistan without even carrying out preliminary investigations. False flag operation by India. Indigenous suicide attack by Mujahideen. False Flag Operation. India has mastered the art of false flag operations and has been using it frequently to project itself as the victim of terrorism (attack on Indian Parliament in 2001, Mumbai attacks in 2008, Pathankot and Uri attacks in 2016). Indian leaders utter lies without any qualm and have been consistently cooking up fake stories to malign Pakistan. Need for engineering an attack was felt by the BJP to garner the votes of Hindu Far Right, to dampen the visit of Crown Prince in Pakistan and to colour his perceptions. Most probably. Indigenous Attack. The way the Kashmiris are being oppressed, killed, maimed, tortured, raped and humiliated since 1989 by Indian forces and are being denied the right of self-determination gives them a strong cause to resort to the extreme measure of suicide attacks. Even the children and girls throw stones at the Indian soldiers and do not fear them. Adil was among the many who were detained, tortured and made to rub nose on the floor. This option is probable but doesn’t suit India. Pakistan Sponsored Attack. Pakistan draws no benefit and stands to lose on all accounts particularly when its national policy and strategy is defensive, and has shown extraordinary restraint in the face of Indian indiscriminate firing along the LoC causing deaths and injuries to a large number of civilians. Pakistan has paid a heavy price in controlling terrorism, it is making concerted efforts to get itself out of the FATF grey list and its main focus is on improving the economy. Hence this option is unviable and ruled out but suits India the most. From February 14 onward, Indian media stimulated a calculated hysteria duly augmented by BJP hawks. Drums of war were drummed and slogan of ‘teach Pakistan a lesson’ was loudly chanted. Options of how best to avenge the attack in Pulwama were openly discussed on Indian media channels. Kashmiris were hunted all over in Jammu and Indian cities, killed, thrashed and girls kidnapped. The state machinery backed up the goons belonging to RSS, BJP, Shiv Sena and other extremist Hindu groups. Additional 12000 troops were inducted into the already saturated Kashmir Valley to further tyrannize the Kashmiris. It was owing to jingoism of India that the Crown Prince delayed his visit to Pakistan by one day and visit of the Taliban to Islamabad was also cancelled. Highly successful visit of the Crown Prince to Islamabad followed by failure of Modi to extract a statement from the visitor advising Pakistan to rein in Pakistan-based terrorist groups allegedly involved in Pulwama attack thoroughly disappointed him. Failure of UNSC to blame and condemn Pakistan, rejection of Indian accusation against Pakistan in Pulwama attack by Turkey, and Trump desisting from pointing a finger at Pakistan further upset Modi. Wholehearted support of Indian Sikhs to the marooned Kashmiris added to Modi’s woes. Contrary to Modi’s warmongering and irresponsible statements, PM Imran Khan gave a balanced and mature response by offering peace and dialogue and at the same time curtly stating that “Pakistan will not think to react but will react”. Chairing the NSC meeting, he authorized the military to react with full force whenever attacked. Gen Bajwa made it clear that the Pak Army’s response will be beyond Indian expectations and will stun India. The message was loud and clear; “don’t mess up with nuclear Pakistan”! In a meeting between the Army and PAF chiefs on 25 February, they expressed satisfaction over the operational preparedness of armed forces for a befitting response to any Indian aggression. All the three services, as well as the air defence, carried out necessary preparations to face the possible Indian threat. The PAF started flying combat air patrols (CAP) in a rotation along the eastern and northwestern borders. Sensing the ugly mood, Pakistan Foreign Minister expressed his apprehensions to his counterparts of other countries that India is up to something nasty and it must be restrained from undertaking a military venture against nuclear Pakistan since it will have horrendous consequences. On the night of 25/26 February, one of the CAP observed Indian jets flying towards Lahore-Sialkot border. Although it turned back when challenged, I guess it was probably a deception to distract attention from the main strike. The next batch of jets was observed by another CAP along Okara-Bahawalpur front across the border which was also a diversion. The 3rd heavy batch of Mirage-2000s was next spotted by the CAP approaching Muzaffarabad sector-Kiran Valley. They crossed the LoC from Tangdhar salient opposite Balakot sector and penetrated 4-5 miles at 0345 a.m. When challenged by the CAP, the jets flew back in haste at 0350 a.m. after jettisoning their payload of 4 bombs at Jabba. The bombs fell at a deserted place causing no human casualty or damage to property except for uprooting some pine trees. It was not an attack on any military target but an intrusion which sought a civilian target. Claims made by India. True to its tradition, India has claimed that the attacking jets successfully targeted JeM camps in Balakot, each bomb weighing 1000 kg and in their 21 minutes operation, they killed 350 militants and destroyed a madrassa supposed to be a training centre of JeM. The claim is preposterous, fictitious and entirely based on a figment of imaginations. This claim is similar to the one invented after the fake surgical strike conducted in AJK in September 2016, which has not been proved to this date. Indians are foolishly celebrating the fabricated victory and deriving a vicarious pleasure. DG ISPR Press Briefing. The DG ISPR Maj Gen Asif Ghafoor conducted an elaborate press briefing today and with the help of slides, he exposed the fake story woven by India. He has extended an open invitation to the local and foreign media persons as well as diplomats to accompany him to the scene of occurrence and see for themselves and to interview the locals whether any area had been bombed/strafed by jets and whether there was any trace of human blood, or any evacuation or burial of dead bodies was carried out, and whether there was a single brick found from the debris where the bombs had landed. He stated that the Pakistan military’s response will come definitely and will be different and will surprise India. Indian incursion has united the divided society and the polarized political parties. A large number of rallies have taken place in various cities to denounce Indian aggression. The nation has gelled together to face the Indian challenge squarely. The National Assembly and all the provincial assemblies have censured the blatant intrusion of Indian jets and have extended their full support to the armed forces. The PM chaired the NSC meeting today in which it was decided that a credible response will soon be given at the time and place of our choosing. After the joint parliament session tomorrow, a meeting of National Command Authority will be held. Until and unless Pakistan gives a hard-hitting response, it will encourage India to undertake similar air violations on the pattern of ground violations in Kashmir. On the diplomatic front, we should make a similar noise as is being done by Indian media and their leaders.